SUMMARY: The patient-centered medical home (PCMH) model has been called a stepping stone to accountable care. The most recent market data from the Healthcare Intelligence Network found that one of the top ways to educate and engage patients in PCMHs is by training physicians to do so. 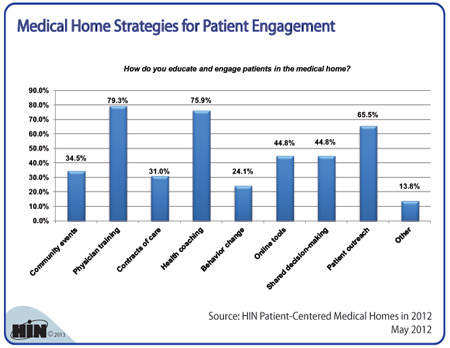 We wanted to see which other strategies are being used to educate and engage patients in the medical home. Download the executive summary of 2012 Healthcare Benchmarks: The Patient-Centered Medical Home. 2012 Healthcare Benchmarks: The Patient-Centered Medical Home is available from the Healthcare Intelligence Network for $189 by visiting our Online Bookstore or by calling toll-free (888) 446-3530.